“The City Mall Parola Expat Experience.” A retired fart like me has plenty of time to go shopping with his asawa. I enjoy checking out new places. Parola is located at Fort San Pedro Drive in Iloilo City. Guimaras, the island province we call home, is an approximately 12-15 pump boat ride away from Ortiz Wharf, minutes from Parola. 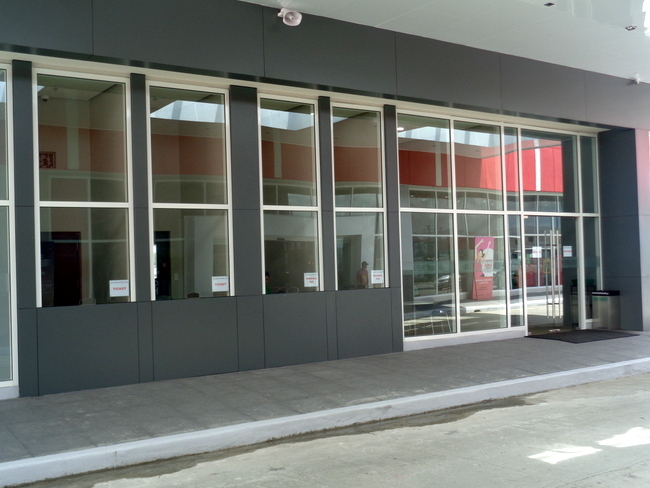 My asawa and I recently visited this new shopping venue owned by DoubleDragon. DoubleDragon is a joint venture of Jollibee Foods Corp owner Tony Tan Caktiong and businessman Edgar Sia II’s, Mang Inasal’s founder. 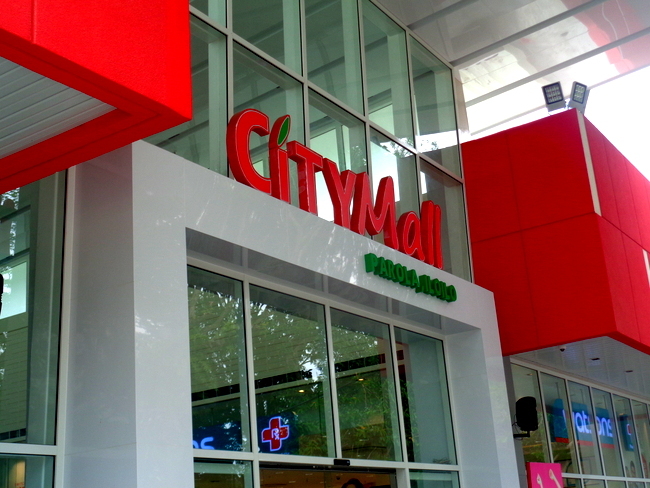 CityMall, a subsidiary of Double Dragon Properties, Inc., is a chain of community shopping malls in the Philippines. Every CityMall has a Jollibee’s and Mang Inasal. The Fort San Pedro district is the home of the old Parola Wharf, the new City Mall, and the new port terminal, GIFT, Guimaras-Iloilo-Ferry Terminal. The old Parola Wharf is used by residents of Buenavista in Guimaras. It’s also the alternative dock for Ortiz in case of bad weather. Fort San Pedro is a gritty, grimy, ramshackle section of Iloilo. An unsafe place for foreigners to visit at nightfall. But the new City Mall Parola is adjacent to the new terminal, GIFT, smack dab in the middle of Fort San Pedro. Problem, is, however, pump boat operators and crew refuse to use the NEW GIFT, Guimaras-Iloilo-Ferry Terminal. Boat Captain Jessie Galarpe, president of the 200-member Jordan Motorbanca Sailors Association, has serious concerns regarding the safety and practicality of GIFT’s location. A boatman for about 20 years now, Galarpe believes Ortiz is the more ideal location for pump boats from Jordan compared to GIFT. Jordan is the wharf in Guimaras we use. DoubleDragon had an agreement to shut down both Ortiz and the old Parola Dock once their new terminal was built. This would have created a virtual monopoly for Guimaras residents wanting to travel to Iloilo. An uproar from officials in Guimaras caused the Iloilo mayor to put a hold on closing the old wharves. The Iloilo City Council is divided on the issue and refuses to give the new terminal a franchise to operate. Without a franchise, GIFT cannot collect any terminal fees. The Council probably has more pressing matters to deal with now. President Rodrigo Duterte’s description of Iloilo as “most shabu-lized” or most affected by shabu is certainly creating image problems for the metropolis. Add to that, Iloilo City Mayor Jed Mabilog inclusion in Duterte’s “narco-politicians” list. We decided to take a taxi to the new City Mall Parola. It’s only about a five minute ride from Ortiz. 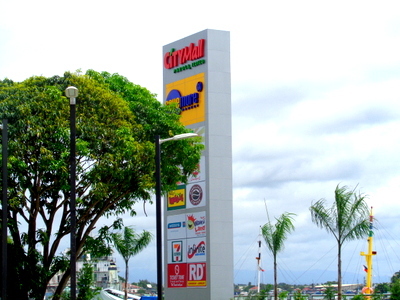 City Mall Parola’s anchor store is the Savemore Market, a subsidiary of SM. My wife and I strolled through the aisles. The store displayed the same merchandise offered by the SM City Supermarket. Savemore, however, was clean. It had been only opened for a week. While no employees greeted us, I guess it could be they were shy. I was the only foreigner in the place. 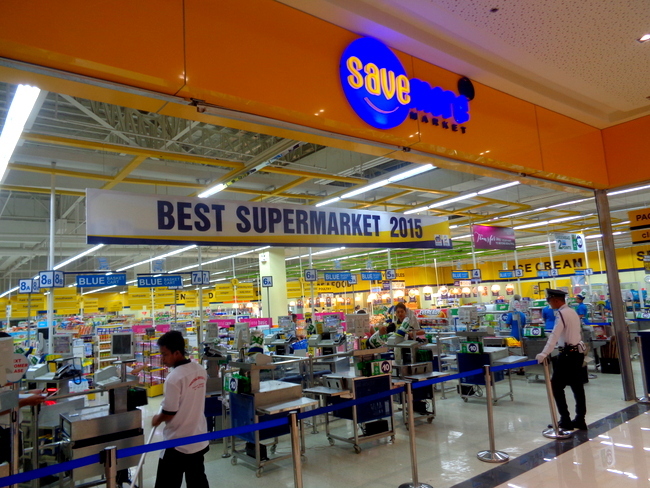 We saw no reason to do our monthly shopping trip there probably as the Savemore is much smaller than the SM City venue we use. My asawa and I did a quick tour and headed for the food court for lunch before we left the mall. 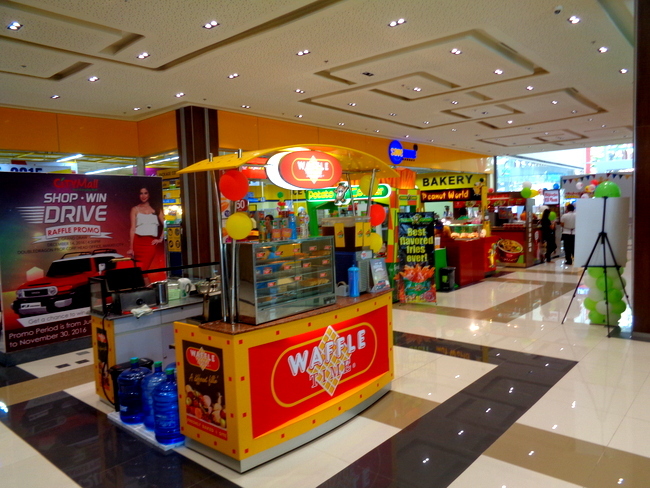 CityMall Parola offers the usual kiosks and retail outlets as many other shopping venues we have been to. If you need a quick cheap snack, Waffle Time, seen below, is a decent option. My wife headed for Chow King. I opted for Jollibee. But Jolliebee was out of their signature hamburger dish, the ChampBurger. It was only 11 am. So I opted for a couple of beef Shawarma‘s with an iced tea. A coffee shop is included in the retail mix where six teenage male students were seated. They didn’t consume any coffee but did leave a pile of empty snack packages behind. As they headed for the exit, one of the boys yelled out “Hey, Babe!” to an attractive Filipina entering the store. She wisely ignored the young man. Four PNP, Philippine National Police, female officers from the nearby NBI, National Bureau of Investigation HQ, entered the coffee shop next. None of they yelled “Hey, Babe!” to me, however. 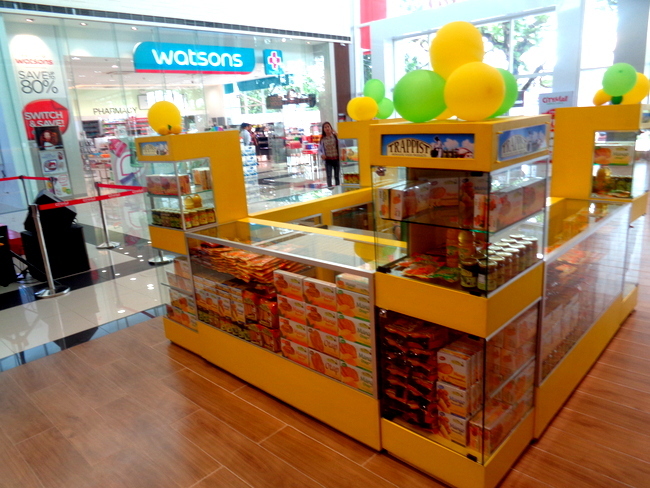 City Mall Parola also offers a Watsons Drugstore along with a retail outlet for the Trappist Monastery. The Monastery is located in Guimaras not far from our former residence at “The Farm.” Superstar Graphic Artist/Web Designer, Captain Tom, designed much of the new packaging offered by the Trappists. The CityMall Parola Expat Experience was one my asawa and I will probably never repeat. While the new mall does offers a lot of shopping opportunities for the residents nearby, it’s not for us. It was clean, not crowded and if the new terminal issue ever gets resolved, will probably bring in more customers. But it was too small for us and didn’t offer the shopping opportunities we can find at SM City or Robinsons. Finally, if you live in Guimaras and plan to visit the new CityMall Parola, you’ll find it offers a lot more retail outlets than anything Guimaras can offer. You don’t have to go all the way into Iloilo City to access it. And because of that, you might find it more convenient for your own personal needs.